Marco Cardamone is a successful Internet entrepreneur who has extensive experience in the Internet, media and broadband content industries. Prior to founding Merging Media, Mr. Cardamone was Managing Partner and Digital Media Practice Leader for the Pittsburgh office of marchFIRST (previously USWeb/CKS), the world’s leading Internet professional services firm. Prior thereto, Marco was founder and CEO of Electronic Images, Inc., a full service digital media communications company that he started in 1988. He successfully sold Electronic Images to USWeb in 1997 in a pre-IPO transaction, for $65 million. In the early part of his career, Marco spent 10 years in New York City in various management, marketing and digital media positions. While there, he worked extensively in computer animation and video production for clients in the broadcasting, cable, advertising, entertainment and corporate communications industries. These included such companies as Dolphin Productions, the first “analog” commercial computer animation company in the country where he was an analog programmer and producer. 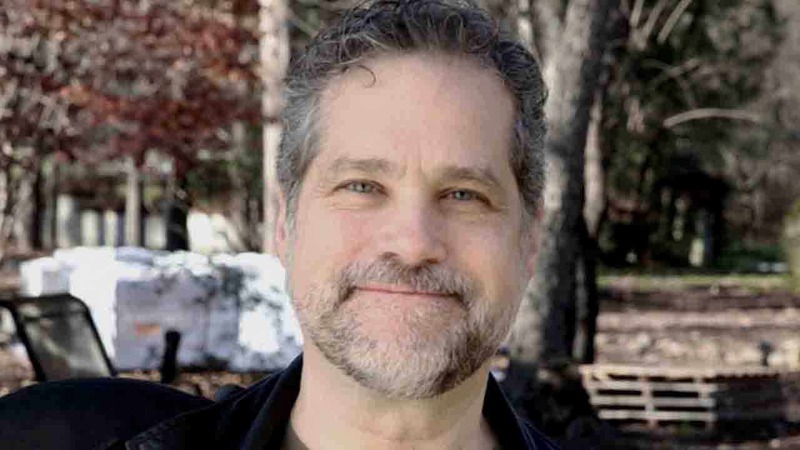 He was marketing director for Computer Graphics Lab, Inc., a startup spin-out of the New York Institute of Technology, an early pioneer in the emerging field of computer animation. He was also VP of Marketing at Graphic Media, a publicly traded company providing business graphic services to Wall Street and Madison Avenue clients. In 1986 Mr. Cardamone moved from New York City with his wife-to-be Paula, and co-founded Cafe Allegro, a family-run restaurant located in Pittsburgh’s historic South Side neighborhood. Cafe Allegro became a legendary icon for 22 years among Pittsburgh restaurants, but sadly closed its doors in NOV 2008. In 1999 (with his wife and fellow co-partners), Marco co-founded Club Cafe, an Internet “wired” music nightclub and content creation environment located just across the street from Cafe Allegro in Pittsburgh’s historic South Side. Marco received his Bachelor of Science degree in Communications and Journalism (with a major in Broadcasting and Film) from Boston University. He worked as a Research Fellow at MIT’s Center for Advanced Visual Studies; a group that eventually merged with two other notable MIT organizations (the Architecture Machine Group and the Visual Language Workshop), forming MIT’s legendary Media Lab, under the visionary leadership and direction of Nicholas Negroponte. During the past 15 years in Pittsburgh, Mr. Cardamone served on the board of WYEP (for 12 years), a triple-A music format and public radio station in Pittsburgh. In 2004 he worked with fellow board members to successfully lead a $3+ million capital campaign, allowing WYEP to build the first “green” LEED-certified radio station in the nation. As Board Chair for WYEP, in 2011 he was instrumental in working with other board members to acquire the assets of WDUQ radio from Duquesne University for $6 million. WDUQ was relaunched as WESA 90.5 FM, a wholly-owned subsidiary of WYEP. The programming format was changed from jazz to NPR News and Information, creating Pittsburgh’s first-ever 24-hour NPR news and information station. He served as Board Chair for WESA for its first 5 years, and as WESA’s Interim General Manager from August 2015 – August 2016. In November 2017 he was elected Board Chair of Pittsburgh Community Broadcasting Corporation (the parent company of both WESA and WYEP) and began serving his term in this new capacity January 2017. Marco is a fan, supporter, consumer and champion of NPR and public media. Thank god for public media. Marco also served on the board of the Pittsburgh History and Landmarks Foundation and the Green Building Alliance, both Pittsburgh-based non-profit organizations whose missions he is passionate about. In his spare time Marco is a musician and songwriter, and has written and recorded original songs with his wife, Paula. That makes them happy. Marco loves dogs too (but he never had one). Marco’s latest obsession is as a photographer with a process and technique he has developed called FastPhoto Movies. Here’s a website dedicated to some of his FastPhotoMovies.